The new Mizuno RB Tour and RB Tour X golf balls. If you live in the U.S. you might have heard rumors of Mizuno golf balls over the years or even seen images of some on the web, but you've most likely never played one. 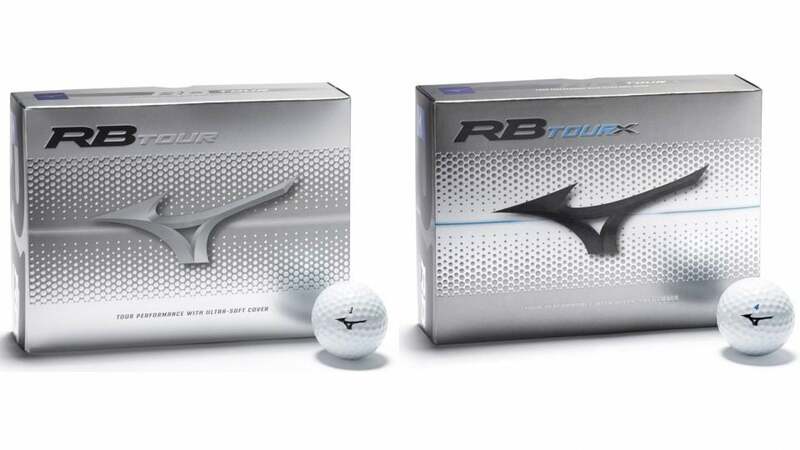 Those days are about to end, if you choose, as new Mizuno RB Tour and RB Tour X golf ball models ($43/dozen) are about to be available at retail (they'll be available in February). Mizuno's new RB Tour golf balls. "Mizuno has its own wind tunnel at the Mizuno Technics laboratory and a particular skill set in aerodynamics," says David Llewellyn, Mizuno Director of R&D. "We've now built a reputation across Asia and Europe for producing a quality ball – working with tour winners, elite amateurs and emerging tour players. The RB Tour takes us to the next level and we're excited to see where this takes us." Both new ball models are Tour models featuring four-piece construction with urethane covers that offer plenty of distance and top-notch short game feel and control. Both models also feature graduated firmness cores and 360 drag-reducing C-Dimples for reduced drag and more speed and in-flight stability. The Mizuno RB Tour X golf balls. The RB Tour has a softer compression and feel and is aimed at players that require a bit less spin and trajectory off the tee, while the RB Tour X is a bit firmer and is best for those who need a bit more spin off the tee for optimal trajectory and distance.